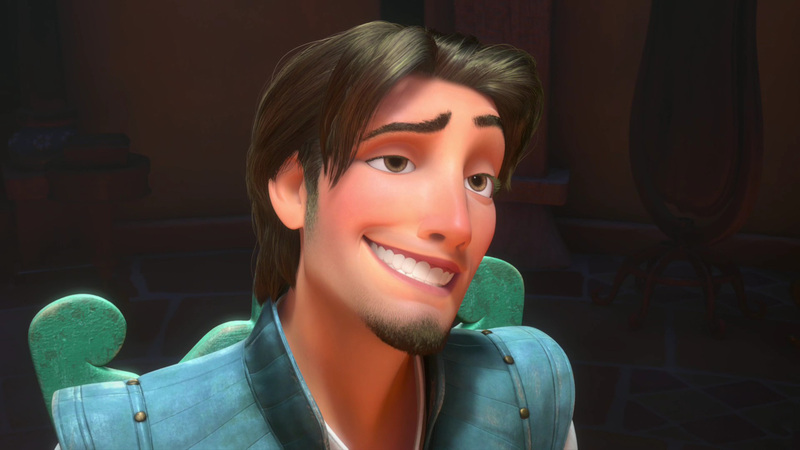 Do you that Flynn's hair was based on Byron Howard's hair (you know, the director of Tangled). That was a big sock. Anyway I still prefer Flynn's hair. He looks amazing, handsome and extremely charming. I actually like his hairstyle it kinda reminds me of eric's from The little Mermaid or John Smith. Plus you gotta love his goatee beard. He actually reminds me of someone I know except his eyes are blue and his a goth. I haven't seen what the directors hair looks like.But I think Flynn is hotter!